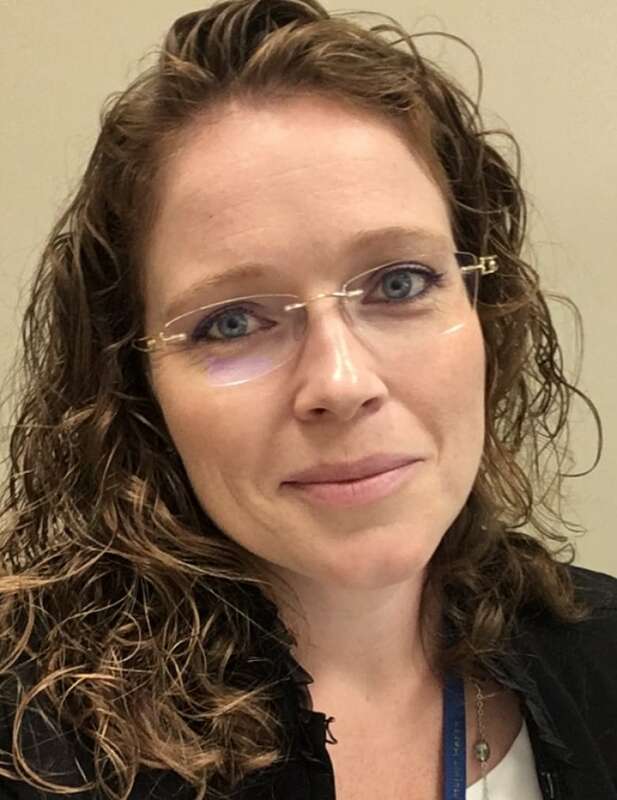 Jurors are often expected to examine extremely violent and disturbing cases, but despite a report from the justice committee urging change, advocates argue there is still a lack of counselling and support. This story is part of CBC's One Bullet series. Each instalment takes a close look at a shooting from somewhere in Canada — who was hurt or killed; who was held accountable; and how did the fallout impact friends, family and first responders. Patrick Fleming spent 10 months as a juror on a high-profile murder trial, listening to the disturbing evidence in the case of a young woman who had hired hitmen to kill her parents. "I don't think you can ever really prepare yourself for these things," said Fleming. "You see it on TV, you listen to it, you hear about it … it's different when you hear about it sitting in a courtroom, watching and listening to the accused and what was done," he told The Current's Anna Maria Tremonti. When it ended in January 2015, Fleming said, there was "a handshake and a cup of coffee, and out the back door we went." 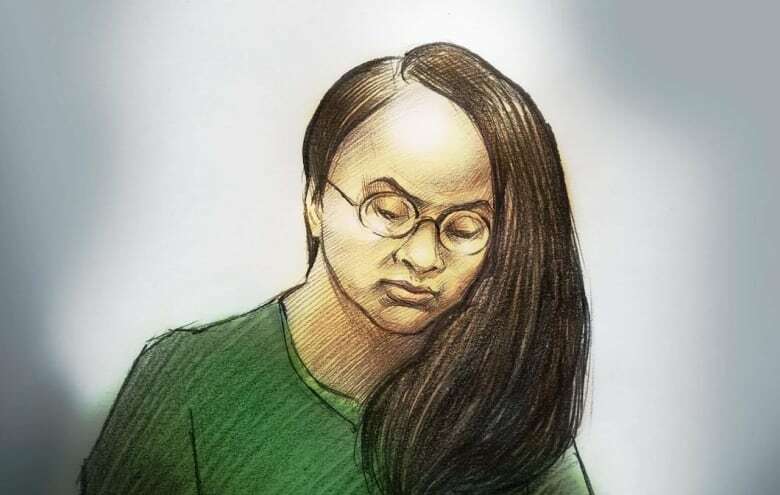 Fleming was a juror on the Toronto-area trial of Jennifer Pan, who was eventually sentenced to life in prison for the first-degree murder of her mother, and the attempted murder of her father, who survived with a critical head injury. The jury heard graphic details of the crime, including the 911 call from the night of the attack, and "heartbreaking" testimony from Pan's father. The trial had left Fleming feeling isolated from his family. "You're [just not] there, emotionally or physically," he said. But at the time, there was no counselling support available for jurors. That has since changed in Ontario, where free counselling for jurors was introduced in January 2017, after a former juror spoke to CBC News about the PTSD he suffered following a trial. While some other provinces have followed suit, including B.C. in May 2018, Fleming said there are still big differences from province to province, with some not offering counselling services. In May 2017, Fleming was one of 12 former jurors who wrote what he called "12 angry letters" to then-federal justice minister Jody Wilson-Raybould, calling for a national program of support for jurors who suffer trauma. The campaign resulted in a May 2018 report from the justice committee, recommending that jurors be offered comprehensive psychological support, and be compensated with at least $120 a day. Currently, it's up to employers in most provinces whether they pay a juror's wages in their absence. The daily stipend also varies: Albertans get $50 a day; in Ontario jurors get $40 a day after the 10th day, then $100 a day after the 50th. Quebecers get $103 a day until the 57th day, when it rises to $160. "Jurors should not be disadvantaged financially or psychologically as a result of conducting their civic duty," the report states, adding that better services could increase overall confidence in the justice system. Wilson-Raybould responded to the report last August, saying she was committed to finding ways to better assist jurors. Fleming wants to see the recommendations implemented across the country. We want to hear from you: How has gun violence affected you and your community? "I don't think it's fair that there should be a patchwork, that some provinces and territories have different healthcare for that support," Fleming said. "We're really striving to get that national support." Montreal MP David Lametti took over the justice portfolio in a cabinet shuffle on Monday. Despite having to review graphic evidence while serving as a juror in a murder trial, Michaela Swan cannot talk freely to a counsellor about the experience's emotional toll. 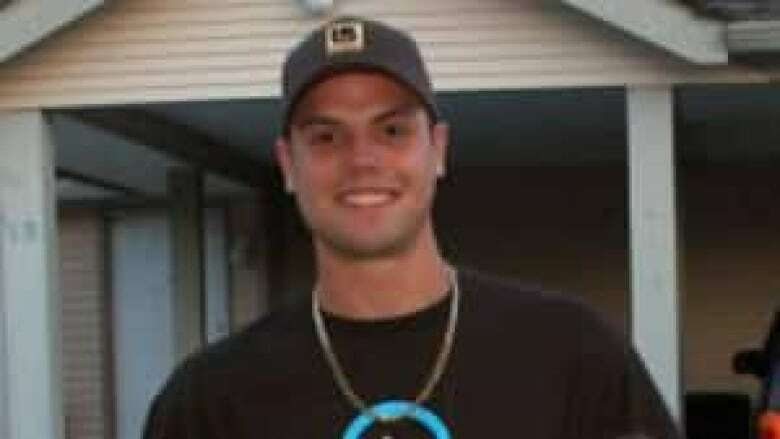 "I did go through a few counselling sessions myself following my jury duty — just to process things — and I sat there saying: 'I don't know if I'm allowed to tell you this,'" Swan told Tremonti. Under Canadian law, it is a criminal offence for former jurors to discuss details of deliberations, even with medical professionals. For Swan, that has meant difficulties in processing her time as a juror in the murder trial of Tyler Myers, in Salmon Arm, B.C. In 2008, Myers, 22, was lured to Bastion Elementary school yard by his 17-year-old girlfriend Monica Sikorski, where he was shot and killed by her other, 16-year-old boyfriend. Swan was a juror in the trial of the male accused, who was found guilty and sentenced as a minor. He cannot be named because of his age at the time of the murder. During the trial, autopsy pictures were used to show the damage done by the bullets, Swan said. "That was quite intense … that's when we got the pictures of the body, and the actual crime scene, which was in an elementary school field," she said. She had also been affected by the details of the undercover operation used to catch the suspects. "In the park, when my kids were playing on the playground … it just made me question, I'm like; 'I wonder if that's an undercover operation,'" she said. When the trial ended, Swan was told no counselling supports were available. "I was back to work on the Monday morning, and my brain was just — it was a mess." She said she couldn't stop thinking about the decision they had reached, and if it was the right one. 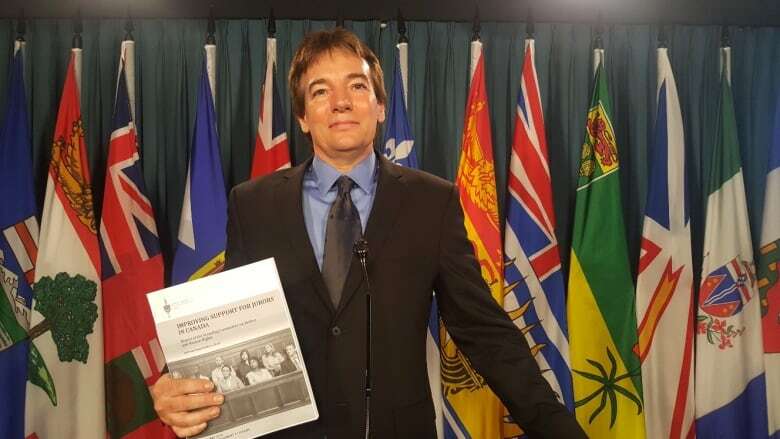 In late October, Conservative MP Michael Cooper introduced a private member's bill, Bill C-417, to allow jurors to disclose that information during medical treatment. "No one should be unable to get mental health treatment for simply doing their civic duty," Cooper said at the time. Private member's bills do not usually pass, but Bill C-417 has all-party support. It has now been sent for its second reading. Fleming and Swan were among the former jurors invited to testify before the House of Commons justice committee in May 2017, leading to the committee's report a year later. The committee also heard from legal experts and medical professionals who stated that jurors can experience nightmares, trouble sleeping, new phobias, outbursts of anger, depression, anxiety, and substance abuse problems. "I really felt listened to," Swan said about her appearance before the committee. She added, however, that she was "a little bit disappointed with the implications of the changes that still haven't been made." Both Swan and Fleming would serve on a jury again, they said, but they want national change so that Canadians who serve on future juries will be protected. "I don't think that bullet ever stops. It may stop travelling, but I don't think it ever stops emotionally," Fleming said. "It has a huge impact on people." Written by Padraig Moran. Produced by Jesscia Linzey and Joan Webber as part of The Current's One Bullet series.